The U.S. Small Business Administration bars banks from issuing SBA-backed loans to marijuana- and hemp-related companies, Maine lawmakers override a veto of key adult-use legislation, and Scotts Miracle-Gro consolidates its cannabis operations. 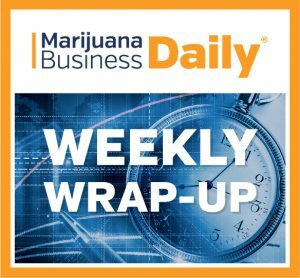 Here’s a closer look at some notable developments in the cannabis industry over the past week. Small businesses serving the marijuana and hemp industries are expected to take a hit under new lending guidelines issued by the federal Small Business Administration. The revised guidance, published in early April, prohibits banks from issuing SBA-backed loans to any company that has a direct business relationship with a cannabis or hemp business. For plant-touching companies, the rules are nothing new for an industry accustomed to getting the cold shoulder from financial institutions, said Tyler Beuerlein, vice president of business development at Hypur, an Arizona payment and banking technology business that serves marijuana firms. “It’s been the biggest conundrum for the industry since Day One,” he said. But the rule change could produce major fallout for companies that provide services and products to cannabis businesses, said Steve Schain, a lawyer with Hoban Law Group in Pennsylvania. “The fact of the matter is, this will directly hit real estate and any other ancillary business that is servicing the industry,” he said in an interview. Under the new guidelines, businesses that derive any gross revenue from a marijuana or hemp company will be deemed ineligible for an SBA-backed loan. The rule also cover landlords who lease space to cannabis-related companies. “Thus a garden supply company selling bagged dirt, hydroponic equipment, potting supplies, fertilizer, or grow lights primarily to garden and home centers and MRBs (marijuana-related businesses) will get defrocked,” Schain wrote separately in an article published this week. The rule change, Schain argues, goes against the SBA’s top goal of creating a financing opportunity for groups that otherwise can’t tap into mainstream capital sources – which include minorities, women and veterans. “Until there is some kind of empirical data regarding the default rate of marijuana businesses, then this is nothing more than pure discrimination,” he said. Maine achieved a milestone – finally enacting legislation that creates the regulatory framework for a voter-approved, adult-use marijuana program. Lawmakers did so by overwhelmingly overturning a veto by Gov. Paul LePage. The state’s adult-use industry is now expected to launch next year or in 2020. But it’s unclear how many municipalities will opt in. And the tax rates hammered out as part of a contentious compromise could hit smaller companies’ bottom lines as well as spur consumers to seek out the black market, according to a legalization advocate. “There’s going to be a lot of work to be done in the next legislative session to repair the damage that this will do,” predicted Paul McCarrier, president of Legalize Maine. The final legislation sets the excise tax rate at $335 a pound for flower and mature plants, and $94 a pound for marijuana trim. The wholesale tax, to be paid when cultivators sell to licensed processors and retailers, is equivalent to about 20%. Retail sales, meanwhile, will be taxed 10%. McCarrier isn’t completely sour on the legislation. Positive aspects, he said, include a strict residency requirement and more cultivation tiers, such as nursery licenses. But McCarrier will remain vigilant. “We’re going to continue to remain engaged – not only in the rulemaking process, but also looking to ensure that some of these major issues that this legislation will create will be dealt with,” he said. Scotts Miracle-Gro is one of the few mainstream U.S. companies to make significant forays into the legal cannabis industry. It has grown its hydroponics subsidiary through $1 billion in acquisitions, including its recent purchase of the nation’s largest hydroponics distributor for $450 million. But now the iconic lawn and garden care company is tightening its belt. Scotts announced it will consolidate and cut jobs. Why? CEO Jim Hagedorn blamed the “completely botched” rollout of California’s recreational marijuana market. But one industry analyst called Hagedorn’s diss of the Golden State sour grapes. California’s launch should not have had an impact on Scotts’ bottom line or revenue, he said. It’s really a matter of Scotts not understanding its customers or consumers. According to Bulbulyan, the type of products Scotts sells for cannabis cultivation are items used by day-to-day or hobby growers. However, California has reached a point where cannabis companies are developing large-scale commercial operations and can buy their equipment at the wholesale level, bypassing the retail seller altogether. Also, these cultivation operations have their own soil scientists who can create in-house mixtures of nutrients and soil. They don’t need to buy Scotts’ premixed products, Bulbulyan said. I did it without an SBA so can you. The entire government is diseased by the marijuana laws. The immorality of leadership has the SBA against marijuana businesses when the whole world knows that the pot biz creates a Virtuous Economic System that super charges all small businesses, real estate, construction, retail everything. They are blind to the incredible power of the herb to grow money and prosperity. Remove these road blocks. They are killing the only real Jobs Program in the land. If you have collateral, you can get a loan. Your business plan will have to include a higher rate and depending on relative risk -as seen by the originators- perhaps some points or perhaps an equity proposition. There are many wildly successful operations in all phases of the industry that are under such contracts. Names that you would recognize. Is it fair or even logic based for SBA to discriminate thusly? Questionable. But far from the end of “business as we know it”. People with Bentlys get pink slip loans at close to 30% sometimes for quick investments in something interesting. If you can still create wealth, hey go with the odds.